Mastering your organization’s sales funnel is critical to effective lead generation, efficient customer acquisition, and ultimately revenue growth. Without an effective system in place, you will waste valuable resources and watch qualified leads fall through the cracks, which in turn leads to higher cost per metrics, such as Cost Per Lead, Cost Per Opportunity, and Customer Acquisition Cost. Inaccurate cost per metrics make it difficult to intelligently and efficiently invest in marketing and sales channels. The following are four tactics that will help ensure you’re making the most out of your sales and marketing investments. While none of these stages fall solely in sales’ or marketing’s hands, the awareness stage might be the one that impacts the sales team the least. It is, however, imperative that your marketing and sales teams be aligned on both the ideal client profile (see also “Buyer Persona”), as well as the types of content that will attract potential leads that fit that profile. The top of the funnel is designed to bring in as many visitors and leads that match that ideal profile as possible. Usually, this step falls on the marketing team, since they are equipped with the tools and campaigns needed to generate leads efficiently at scale. However, it is also possible for a product or service with a high annual contract value (ACV) to efficiently fill this stage of the funnel through outbound prospecting. Once the visitor becomes a lead, whether through a form submission on the website or by agreeing to a next step through prospecting, sales and marketing must ensure they are synchronized. With the appropriate touches through this stage, a lead can be guided to becoming a Marketing Qualified Lead (MQL) and then a Sales Qualified Lead (SQL). Sales and marketing need to communicate effectively, and use automation where appropriate, to ensure the lead is taking the right steps through the sales funnel. The bottom of the funnel is typically where the sales team shines. Their goal is to convert the SQLs into opportunities and ultimately to customers. Since this is the phase where revenue can be generated, so you want to make sure you have your best sales assets focusing on this stage to ensure the most efficient use of their time and your capital. Having an intimate knowledge of the specific stages within your firm’s sales funnel will ensure that marketing and sales efforts are utilized efficiently, and that qualified leads make it through the funnel quickly and easily. Often times, sales and marketing teams aren’t aligned in their goals. Marketing typically only cares about hitting the MQL goals that were established in a Service Level Agreement between marketing and sales leadership. And sales, on the other hand, is constantly complaining that the “leads are weak.” The leads may be weak, but it’s likely due to misalignment of goals and objectives between sales and marketing. Establishing clear goals will allow the sales process to flow smoothly and efficiently. While the goal should always be to turn leads into customers, you should get more granular with your goal setting. It’s not enough to say that you want X number of new customers by the end of the month. Instead, both marketing and sales should know precisely the target number for each stage of the funnel, and should work together to achieve the targets. Setting goals at each step of the sales funnel will help you stay organized, ensure buyer readiness, and experience better results. Not all leads act the same. However, over time, it is likely that you’ll notice that leads from the same demand channel or source exhibit similar behaviors. For example, leads from paid search typically have higher buyer intent than other digital channels and will move through the sales funnel more quickly than others. On the other end of the spectrum, a prospect that is sourced through cold outreach will almost always take longer to move through the funnel. The key to understanding these channels and their behavior within the sales funnel is to have a constant and consistent form of lead qualification and data recording within the CRM. By ensuring that all leads pass through the same qualification process, you’ll be able to reduce variables that impact lead quality and funnel velocity - or how quickly a lead moves through the funnel. Accurate data recording will also make it possible to draw conclusions about specific channels. For example, if your sales team is consistently noting that leads from organic search take longer to progress they’ll be able to properly manage both internal and external expectations when working a deal from that specific source. As your leads make their way through the funnel, they may decide that now is not the right time for them to purchase your product or service. In many instances, “not now” does not mean “no.” Once your sales and marketing teams understand this, they’ll be able to build productive nurturing campaigns that will ensure your organization remains top of mind for the prospect, without being overbearing. 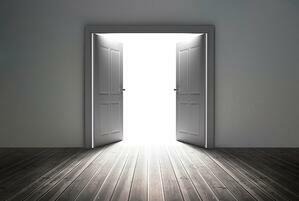 You don’t want to close the door completely on these opportunities, until they are fully disqualified. It is likely that the prospect was experiencing pain and met certain qualification criteria if it made it into the pipeline, yet for some reason the timeline was not right. Tailoring a nurturing program to these types of prospects can lead to increased sales when other reps would have written the deal off as dead. Sales quotas are met when sales people work high urgency deals that are ready to buy, but sales quotas can be shattered when they are worked in conjunction with re-engagement programs that turn latent prospects into “right time” opportunities. Furthermore, you want to keep re-engagement in mind for vertical expansion of existing accounts. Your customers are not out of the funnel as soon as they buy a product. They may have a need for other products and services you sell. Keep these customers in your marketing and account management workflows and drive awareness for additional opportunities they may provide. Implementing these four tactics will help enable your sales and marketing teams to create a successful, efficient sales funnel. To learn more about the sales funnel and customer acquisition process, download our sales deck: 6 Failure Points in the Customer Acquisition Process!